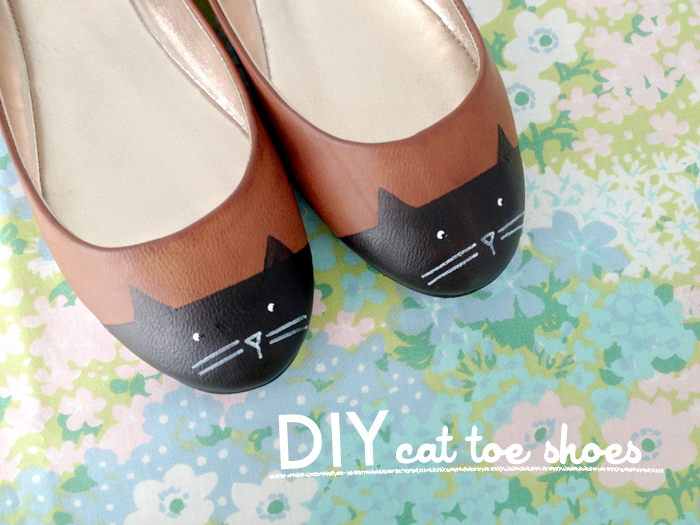 I have a DIY guest post on Kittenhood today! Click here to go check it out! Materials needed: Shoes (preferably plain with a round-toe and enough room at the front for a cap-toe effect), black paint, brushes, masking tape, white paint and a white marker pen if you don't have a very steady hand with a brush. 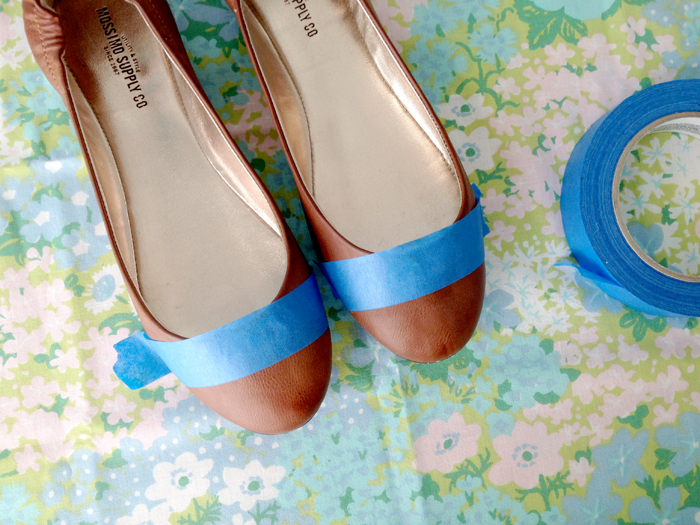 First, tape off the tops of the shoes. Really press hard on the tape so that none of your paint will seep through. Paint the tops of the shoes black. I did three coats to get a really opaque color but I also wasn't using the best acrylic paint lol. If you're using a quality brand name paint one coat should do the trick! When the paint is dry, peel off the tape and add little triangles for ears. You can use painters tape for this too if you aren't good with freehand. For the eyes, I put a straight-pin in the eraser of a pencil to make a little dotting tool! Dip this lightly in the white paint, and add your eyes. If you mess up, you can always paint over it with black and try again :) To make my cats have some more character, I went back and added a second little black dot in the corner of the white to give the illusion that the cats are looking off to the side. 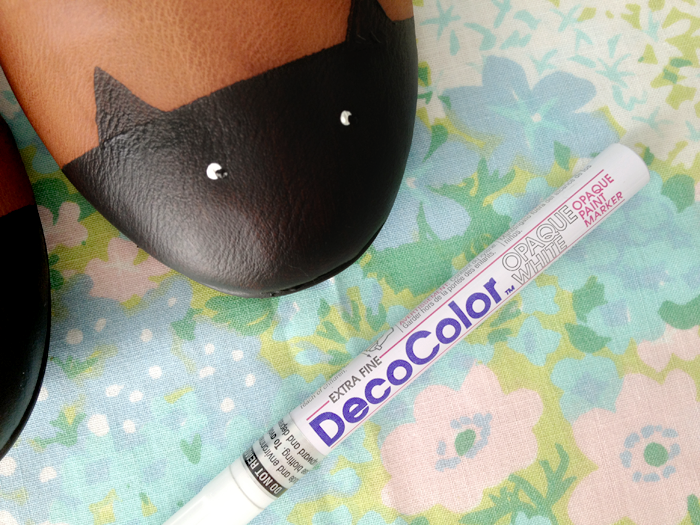 Using an opaque white paint marker -- or a fine brush and white paint -- add whiskers and a nose! And voila! 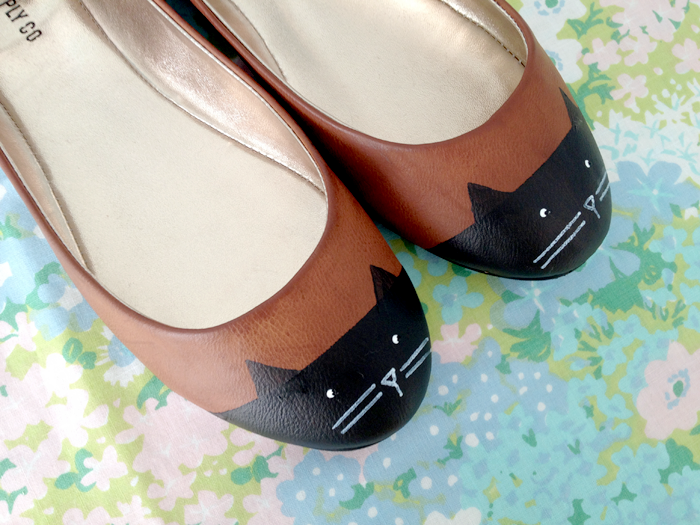 Pretty little cat toe shoes. If you want a more subtle cat look, you can always skip the face and just have the ears, which would be cute too! 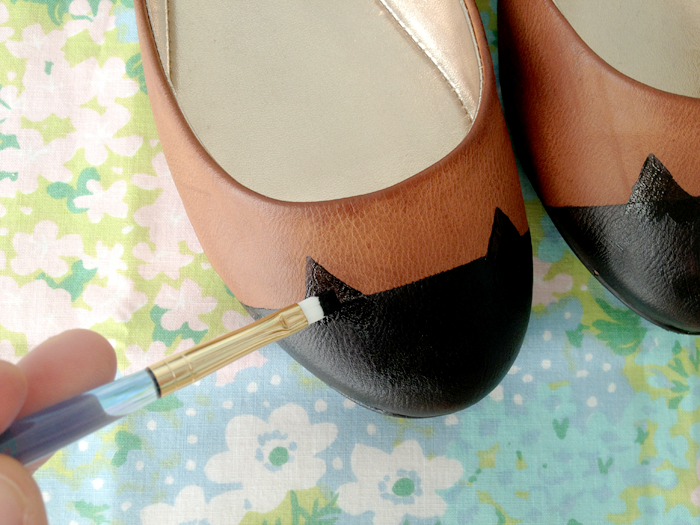 You can also play around with the colors and maybe even paint a tail on the back of the shoe!